Walkup Avenue is named for the Christopher Walkup family. Christopher Walkup was born in 1785 in Greenbriar County, Virginia (now West Virginia). 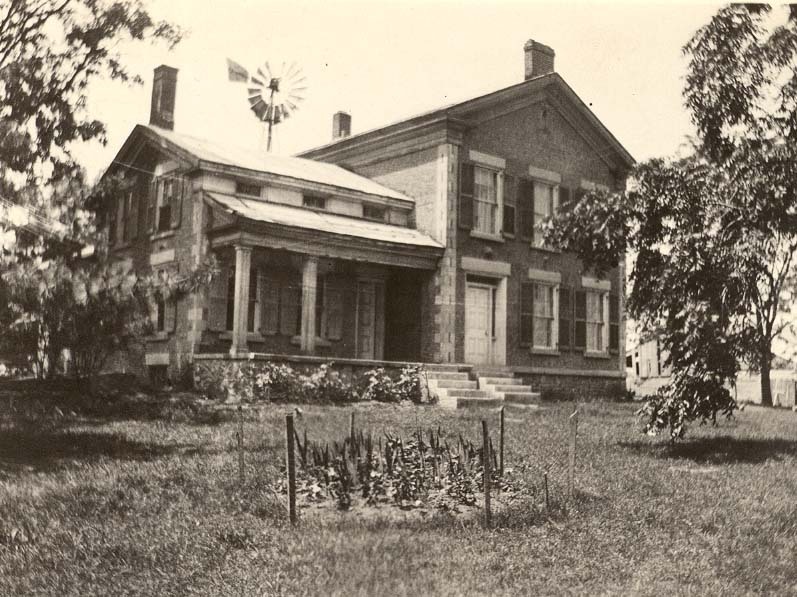 In the spring of 1835, Christopher led one of the first settling parties into McHenry County. This was just a few months after the arrival of the county’s first inhabitants, and prior to Beman Crandall’s settling in Crystal Lake. Walkup’s group included James Dufield, John McClure, Christopher McClure, William Hartman, John L. Gibson and John Gillian. The area where they settled became known as the “Virginia Settlement” because so many of the settlers were from Virginia. This settlement was located in Dorr Township near today’s town of Ridgefield. Christopher Walkup was the first sheriff of McHenry County, serving from 1840-1843. He was also Justice of the Peace and the first postmaster in Ridgefield. One of the first regular church services in the county were held in Christopher Walkup’s home. The Presbyterian Church of Ridgefield, which he helped establish in 1839, was built on his home site. Christopher Walkup surveyed the streets for the towns of Crystal Lake and Nunda. He named the street which passed along the eastern edge of his property “Walkup Avenue.” It was the main North/South street in the town of Nunda. 130 acres of that Walkup family property is now known as Veteran Acres Park (formerly called Walkup Woods). Christopher Walkup and his wife Sabina had six children, John B., Margaret, Josiah, William, Janet and Sarah. Two of Christopher’s sons, John B. and Josiah, settled in Nunda Township, and built houses on the west side of Walkup Avenue. In 1856, John B. Walkup built his home across from what is now Veteran Acres Park. The foundation and walls of this Greek Revival house are made of over 70,000 cobblestones which were picked up on the shores of Lake Michigan and hauled back to McHenry County by oxen. John B. died shortly after the construction was complete. The home is still standing and is once again owned by a member of the Walkup family. This home was the second building designated as a county historic landmark under the McHenry County Historic Preservation Ordinance of 1991. Josiah Walkup built his home in 1846 at the southwest corner of today’s intersection of Walkup Avenue and Route 176. Sadly, the house was demolished a few years ago. Josiah served as a trainman for the North Western Railroad during the mid 1800’s. For many years, the terminus of that line was at “Walkup’s Crossing” on his property. Josiah was also a partner in the Crystal Lake Pickling & Preserving Works, which was located just south of the railroad tracks near today’s intersection of Walkup Avenue and Woodstock Street.